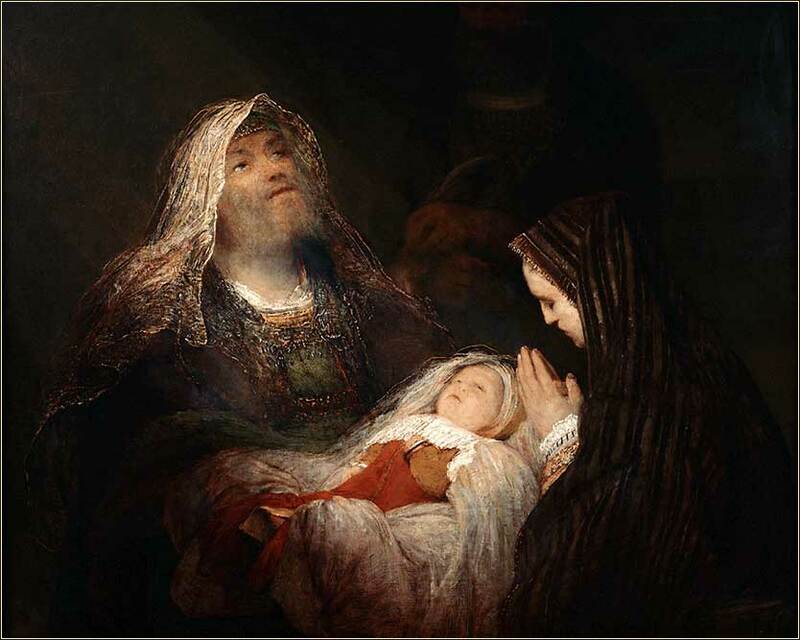 Simeon and Anna Praise the infant Jesus, Arent de Gelder (Flemish) ca. 1700. 168 people in our community are currently praying with you. O Thou whose bounty fills my cup with every blessing meet! I give Thee thanks for every drop, the bitter and the sweet. I praise Thee for the desert road, and for the riverside; for all Thy goodness hath bestowed, and all Thy grace denied. I thank Thee for both smile and frown, and for the gain and loss; I praise Thee for the future crown and for the present cross. I thank Thee for both wings of love which stirred my worldly nest; and for the stormy clouds which drove me, trembling, to Thy breast. I bless Thee for the glad increase, and for the waning joy; and for this strange, this settled peace which nothing can destroy. Resolution One: I will live for God. Resolution Two: If no one else does, I still will. Now when the days of Mary's purification according to the law of Moses were completed, they brought Him to Jerusalem to present Him to the Lord (as it is written in the law of the Lord, "Every male who opens the womb shall be called holy to the Lord"), and to offer a sacrifice according to what is said in the law of the Lord, "A pair of turtledoves or two young pigeons." Now there was one, Anna, a prophetess, the daughter of Phanuel, of the tribe of Asher. She was of a great age, and had lived with a husband seven years from her virginity; and this woman was a widow of about eighty-four years, who did not depart from the temple, but served God with fastings and prayers night and day. And coming in that instant she gave thanks to the Lord, and spoke of Him to all those who looked for redemption in Jerusalem. So when they had performed all things according to the law of the Lord, they returned to Galilee, to their own city, Nazareth. And the Child grew and became strong in spirit, filled with wisdom; and the grace of God was upon Him. The details of Anna's life are not completely clear. She would normally have been betrothed before she was 14 (twelve and a half was common), but marriage as we know it, with the parties living and sleeping together, would usually occur at least a year after the betrothal. It is a good guess that she became fully married at age 14 or 15. So what this passage means is that she was widowed at age 21 (approximately). The verse does not specify whether she was 84 years old, or had been a widow for 84 years, which would make her 105. You could fairly argue either age. It was not impossible for a woman to live to 105; there are known instances of people living active lives at that age in parts of the world little different from Roman Israel. But the important point is that she had lived for a very long time like a medieval nun, cloistered in the Temple, devoted entirely to worship. She had strong spiritual credentials; she was a proven holy woman. Why is this passage even worth recounting? It would have been much more important to the Jews of the day than it is to us. In important cases, such as murder, a court decision would only be given on the testimony of "two or three witnesses". (Deut. 19:15) Thus, along with Simeon, two people have borne witness to Jesus' holiness when he was brought to the Temple for his birth sacrifice. Luke is trying to prove that Jesus was the Messiah, ordained before his birth. 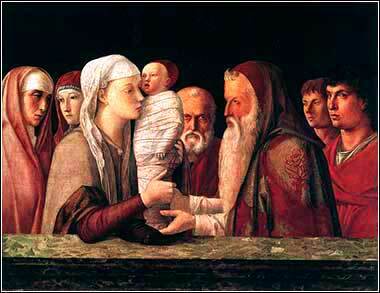 Anna's testimony is less compelling than Simeon's, but it was important enough for Luke to have included it. The Prophetess Anna, artist unk. 2 Timothy 3:16: All Scripture is inspired by God and is useful for teaching the truth, rebuking error, correcting faults, and giving instruction in righteousness.